Have a question on XC40? XC40 is available in 4 different colors - Osmium Grey Metallic, Bursting Blue Premium Metallic, Crystal White Premium Metallic and Fusion Red Metallic. The Volvo XC40 is an all-new product with no history attached to it. Conceptualised in 2015 when the world was already in love with compact SUVs, the Volvo saw the light of the day two years later. It was built on an all-new platform called the Common Modular Architecture or CMA. While it was launched globally earlier this year, it took some time for Volvo Malaysia to bring it down here. The Volvo XC40 is being sold in a single trim here and it is locally assembled. The Volvo XC40 colour options include Bursting Blue Metallic, Crystal White Pearl, Fusion Red Metallic, and Osmium Grey Metallic. Bookings have already begun across all Volvo dealerships in the country while deliveries will start soon. Head up display, 9-inch touchscreen system, leather upholstery, powered front seats with memory function as well as heated seats are on offer. There is 3-zone climate control while the multifunction steering wheel can also be optioned with a heating function. There are many storage options too. Volvo also offers wireless charging, an electric tailgate, panoramic sunroof and many more features. The wheelbase of 2,702 mm is also decent and almost 50 mm more than the V40 hatchback. However, while Volvo claims it is a 5-seater, the XC40 is good as a four-seater. The boot space too is decent. The Volvo touchscreen system is devoid of Android Auto or Apple CarPlay capability. However, the response is fluid and we liked the way the entire system operates. It clears the cabin from a clutter of buttons and almost all the functions can be controlled via the Sensus system. The new Volvo XC40 is a compact premium SUV. It goes on to compete with other entry-level offerings like the Mercedes-Benz GLA, the Audi Q3, and the Jaguar E-Pace. We like the fact that Volvo is designed quite distinctively. It helps to set it apart from the crowd. While it may look diminutive, the Volvo is as big as say a Hyundai Tucson. You need to check the dimensions of the Volvo. The length is 4,425 mm, the width is 1,863 mm and the height is 1,652 mm. The ground clearance is 210 mm. There are flared wheel arches, a not-so-wide grille with the Volvo logo running across the breadth, aggressive bumpers as well as smallish fog lights. Volvo though has given 19-inch alloys with the XC40, something which the competition doesn’t even have as an option. The side looks a bit slab in form while the rear is as flamboyant as the front. How about two prominent exhaust tips and a boomerang-shaped tail light? Volvo is also happy to offer all the XC40s in Malaysia with a dual tone roof. The Volvo XC40 uses traditional MacPherson struts in the front with air suspension at the back. This provides the Volvo with sublime road manners. We like the way the Volvo also behaves over bumps. It absorbs all but the nastiest of them. The car is a bit top heavy and having a higher centre of gravity does rob it off some agility. That being said, it still is a decent handler. The steering wheel is a small unit and a delight to use. It has direct stacked ratios too. In terms of NVH, only at speeds in excess of 140 kmph, you get to hear the engine. This is excellent considering there is turbocharging involved here. For our market, Volvo offers a lone petrol engine and it is a turbocharged unit. This 2.0-litre new generation E-Drive engine is capable of making 252 PS of max power at 5,500 rpm and torque of 350 Nm from 1,800 rpm. Via a newly developed Haldex clutch, the power is sent to all four wheels. Volvo uses their traditional 8-speed automatic gearbox with the addition of paddle shifters behind the wheel. The claimed 0-100 kmph time is 6.4 seconds while the top whack is limited to 230 kmph. The Volvo XC40’s claimed fuel efficiency is 14 kmpl. This engine is an enthusiastic unit but has to be revved to extract performance. Slot it into the Sport mode and use the paddle shifters for the best results. This though may have an effect on the fuel efficiency and it could drop to even 8 kmpl. The engine is very silent, though the gearbox is slightly hesitant to shift down. You never question a Volvo for its safety, do you? As usual, Volvo has outdone themselves by offering state of the art safety equipment. Parking sensors all around, BLIS, lane keep assist, adaptive cruise control and a forward collision warning system are on offer. Volvo also offers City IntelliSafe technology. This one will automatically apply the brake should it detect that the driver hasn’t noticed the safety hazard. It can identify parked cars, pedestrians as well as animals. Volvo also provides park assist function. There is also the GNCAP certification with a full five-star crashworthiness report. The Volvo XC40 makes for an excellent alternative to the other premium options in the market. It is new and is backed by the latest technology that is on offer in the world. The Volvo XC40 price of RM 255,888 brings it at par with its German competition. Should you be interested in decking one up according to your whims and fancies, Volvo is happy to indulge. 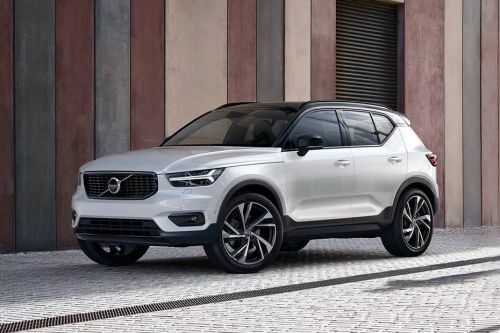 We think the XC40 is worth the price and it will be a noteworthy addition to any garage. What’s more, it is also locally assembled here. What are the Safety Features Available in Volvo XC40?